Home/News/Incoterms 2020: what to expect? The new incoterms 2020 are being drafted in the international Chamber of Commerce (ICC) as the body that publishes them since 1930. The transformation and facilitation of international commercial transactions have taken the global trade to a whole new level – all thanks to the revolutionary efforts by the ICC that organized and provided a comprehensive system of rules to define he responsibilities of the involved participants in cross-border transactions. However, because of the need to strengthen some identified transactional bottlenecks in the last decade and to achieve a seamless trade between member nations, the ICC constituted a drafting committee to evaluate and improve the global trade rules known as ‘Incoterms 2020’. The revision of the current Incoterms is expected to keep pace with the global trade demand, challenges and changing technology. Incoterms 2020 will represent a massive improvement of the earlier editions developed in 1990, 2000 and 2010 and when published, it is aimed at minimizing ambiguity and uncertainties affecting international trade. The introduction of CNI (Cost and Insurance) will help to resolve controversies and disputes surrounding duty payment as well as bridge the gap between FCAand CFR/CIF. The CNI will enable the seller/exporter take responsibility for international insurance, and the buyer will have to bear the risk of transportation. The change is assumed to be the best solution since it can be compared with FOB for goods, CIP and CIF. The proposed inclusion of CNI in the new Incoterm rules will allow the seller to handle the arrangement for export customs clearance. This will make FCA to be more relevant in the industry and observers expect the negligence and declined relevance of EXW (EX Works). There are contradictions and ambiguity under the EXW terms and stakeholders are of the opinion that it should be removed or critically modified. Advocates of the removal believes it is more appropriate for domestic trade and the enhancement of FCA to equally share dutiable charges and overall cost liability on both parties (the importer and supplier) should be considered. With the possible removal of EXW in Incoterms 2020, the rules are expected to greatly unify global customs compliance and also correspond with the Customs Code of the European Union. The use of FOB and CIF for international trade has been an age long tradition, but most of the changes made in the earlier versions of Incoterm has not been transmitted or implemented adequately. 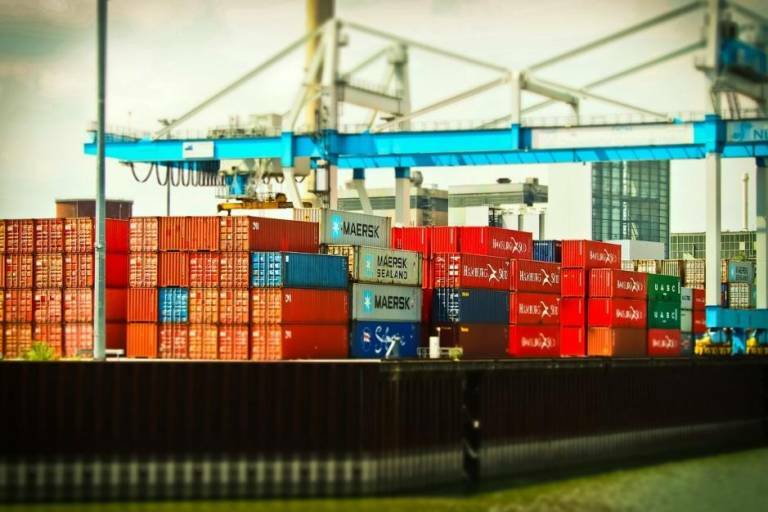 Proponents of the amendment and some stakeholders involved in international trade expect significant changes in the FOB and CIF Incoterms for containerised goods. Insurance obligations between the seller and buyer in addition to the insurable interests under CIP and CIF terms. Recommendable penalties for manipulations of supplier under the CIF terms. Critical evaluation and identification of hidden supplier profit and the addition of Destination Handling Charges (DTHC) in the CIF shipment quotations. Most participants and stakeholders involved in international trade continually embrace the FCA terms of trading because of its versatility and the ability to address the delivery bottlenecks that is lacking in other Incoterms rules. The drafting committee may consider the expansion of the FCA or they may reinforce its’ use specifically for containerized freight. In recent years, the cross-border trade has been characterized by cyber-security threats and various magnitude of attacks involving data deletion, financial and sensitive information theft. These attacks have been successful in the maritime supply chain which is perpetrated by cybercriminals through the opening of unsecured browsers, downloading malicious content, phishing scams and human error. It is envisaged that the Incoterms 2020 drafting committee will work with cyber-security companies and experts that will priorities potential security threats and vulnerabilities of participants, stakeholders and agents in the international trade. They will consider the introduction of technologies and capabilities that will significantly minimise security and privacy concerns. Ultimately, the lessons of the past decade will enhance the development of Incoterm 2020 making it more flexible in addressing real-time discrepancies in cost and transfer of risks, packaging, marking, inspection of goods, security clearance and other formalities. It should also improve the responsibilities of participants, agents and stakeholders on the purchasing and supply chain. It is also expected that the drafting committee will create more Incoterms or carefully consider an amendment that will take care of issues concerning trade facilitation and encourage best practices in cross-border transactions. The new Incoterms is likely to have practical inputs, and will be extremely optimized to keep pace with the ever-evolving global trade landscape.